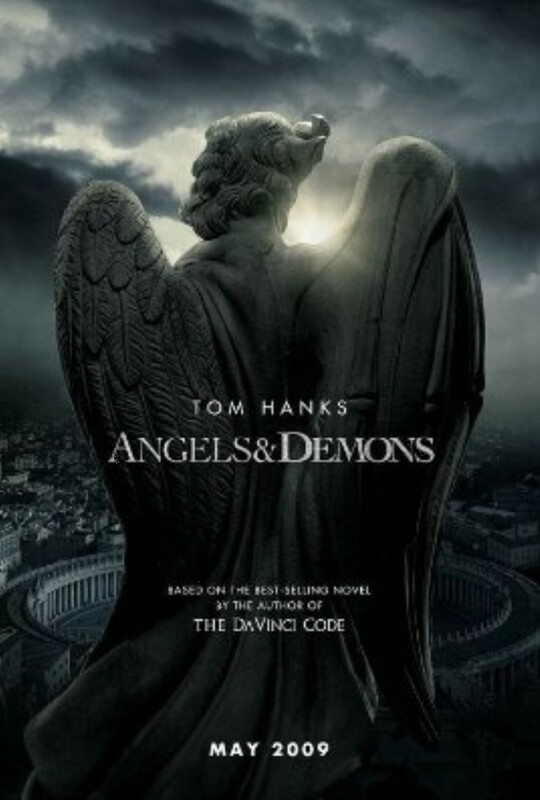 Angels and Demons, the prequel to Dan Brown‘s Da Vinci Code, has released it’s first theatrical trailer. The movie follows world-renowned Harvard symbologist Robert Langdon (Tom Hanks), who is summoned to a Swiss research facility (CERN) to analyze a mysterious symbol seared into the chest of murdered physicist Leonardo Vetra. He discovers evidence of the unimaginable, the rebirth of an ancient secret brotherhood known as the Illuminati, the most powerful underground organization ever to walk the earth. Angels and Demons is scheduled to open in theaters May 2009. 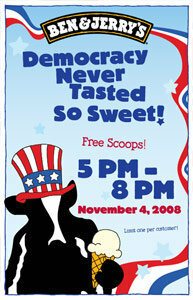 Free Ben & Jerry’s on Election Day! Come to participating scoop shops on November 4th from 5-8pm, and you’ll get a free scoop of ice cream. Click the link below for voting locations and participating scoop shops! J.K. Rowling’s Harry Potter and the Half-Blood Prince, now being released in July 2009, has a new International Teaser Trailer. If you’re a Whole Foods shopper and have some grocery shopping to do between now and October 22,2008, make sure to visit here and grab this $5 off coupon. Simply print out the coupon and spend $25 or more at any Whole Foods Market in the U.S. and you’ll get $5 off.